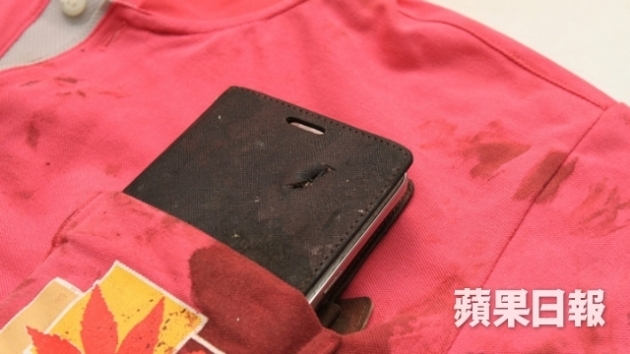 Samsung Galaxy Mega stops bullet, saves man's life | Android Blast! Can your smartphone stop a bullet and save your life? A man in Taiwan put the theory to the test, and his Samsung Galaxy Mega passed with flying colors. Apparently, the man was involved in a bar fight over a wallet he found. After making the comment, "free beer," the owner of the wallet got upset. He pulled out a gun and shot the man who found his wallet. The bullet penetrated his arm, but as it headed for his chest it was stopped by his Galaxy Mega. What are the chances? The man is expected to make a full recovery, but he will have to purchase a new smartphone. I'm sure he won't mind.